Travelling within Rotterdam by public transport is straight forward and convenient. The extensive network is operated by public transport company RET and connects all different parts of the city by tram, metro, buses and ferry. 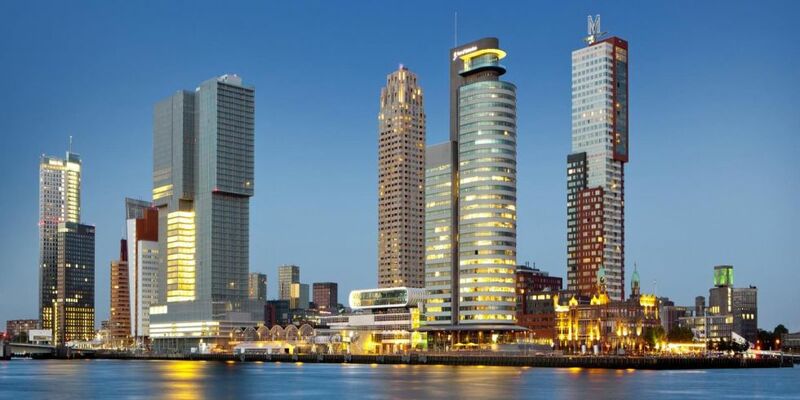 If you are visiting Rotterdam, the public transport system is the most convenient way to travel within the city. RET 2-Hours ticket: Two hours of free travelling trough Rotterdam for € 4,00. Only valid on trams, buses and metros operated by RET in Rotterdam. RET day tickets: One day of free travelling trough Rotterdam for € 8,00. Only valid on trams, buses and metros operated by RET in Rotterdam. Rotterdam-The Hague “Tourist day Ticket”: One day free travelling throughout the “Zuid-Holland” region with RET, HTM, ARRIVA and Connexxion for € 14,50. When you are staying in Rotterdam for more than 7 days it might be beneficial to buy a public transport chip card (ov chipkaart) instead of day tickets. With the public transport chipcard you only pay for the distance you actually travel, with a one way ticket you pay for the whole trip. The public transport chip card is a plastic card that lets you travel on credit. Travelling with a public transport chip card is very handy because it allows you to travel with all the carriers including the NS (Dutch railway). Customers can buy this card in our webshop for € 7,50. Customers can also load the card with credit before you arrive in Rotterdam. On this website you can buy all these products in advance and they will be delivered to your home address, hotel, company. The products can also be delivered at our servicestore at the Airport Schiphol to be fetched upon arrival. Before seeing the sights, you may wish to consult the RET website to help you find the quickest and most convenient way to get from A to B. In addition, there are a number of excellent apps available to help you find your way around the city.